During a news conference this past Sunday, the Intergovernmental Panel On Climate Change announced that if the use of fossil fuels is not phased out by the year 2100, there could be dire consequences for the Earth's climate. This announcement follows a number of prior summits, rallies, and policy announcements from world leaders over the past couple of months. Some 45 bystanders were killed, and nearly 100 more injured Sunday in what military officials are calling a suicide bombing during a military demonstration at an India-Pakistan border post. The demonstration, which has been described as a nightly routine on the Pakistani side of the border, primarily serves as a means of intimidation, and regularly draws crowds of spectators. This past Friday a test flight of Virgin Galactic's SpaceShip Two ended in tragedy as the prototype craft broke apart mid flight over the Mojave Desert. It is now reported that the sole casualty of the incident, Michael Alsbury, was regarded as a highly experienced and competent pilot and engineer. At this point, the chairman of the National Transportation Safety Board has announced that the investigation of the crash may take up to a year. 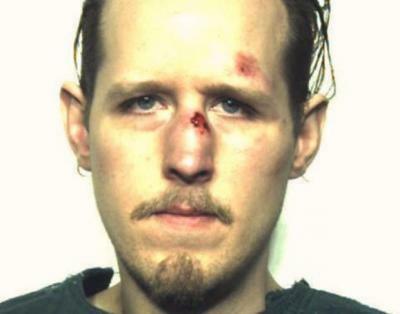 Following a 48 day manhunt that had police forces in the Poconos Mountains scrambling, suspect, Eric Frein, has finally been captured and brought into custody. For most, this marks an end to what has been a harrowing seven weeks for both Pennsylvania locals and law enforcement, and hopefully will lead to some closure for the family of ambush victim, Bryon Dickson. Global Summit VI is set to begin Tuesday in Erie, and is scheduled to feature a number of speakers who will deliver conferences on a broad range of topics. The Summit has gained much acclaim since it came to Erie in 2009, and among the nine speakers set to present is former first lady Laura Bush.